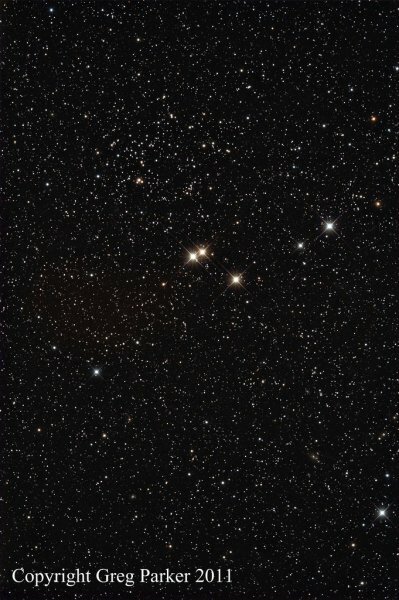 The open cluster top-left in this image is the 2-billion year old NGC752 (Caldwell 28) in the constellation Andromeda. There are a huge number of faint fuzzies (galaxies) in the background of this image including NGC708 and NGC753. Image taken using the Sky 90 telescope and SXVF-M25C one shot colour CCD in portrait mode (North is up in this image).